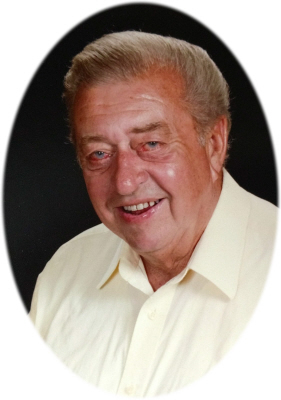 Charles Dean "Chuck" Fisher age 74, of St. Louis, MI, passed away Sunday, October 28, 2018, at Mid-Michigan Medical Center, Alma, MI. Memorial Service will be held at First United Methodist Church, St. Louis, MI, on Saturday, November 3, 2018 at 11:00 A.M., with Pastor Terri Bentley officiating. Visitation will be held on Saturday, November 3, 2018 from 9:00 A.M. until the time of the memorial service at the church. Charles was born in Alma, MI on September 28, 1944, the son of George Dean and Marjory Elizabeth (Turner) Fisher. He graduated from St. Louis High School with the class of 1962. He went on to receive an Associates Degree in Agriculture from Michigan State University. Charles married Carmen Fuentes. Chuck was a lifelong farmer in Gratiot County. He enjoyed angus beef cows and time spent at Townline Lake. He liked the time spent with family, especially his grandchildren. He is survived by his wife of 55 years Carmen Fisher, sons: Todd and Lisa Fisher, Troy Fisher, grandchildren: Amanda Fisher, Alexandria Fisher, Rebecca Fisher, and Blake Fisher, great grandson William Dean Fisher, sisters: Margaret Peggy and Daniel Mikek, Mary Ruth and Mike Reichard, step sister Shirley Grandy, and step sisters in law: Donna Fisher and Rosemary Fisher. He was preceded in death by his parents, granddaughter Amber Fisher, sister Dorothy Dolloff, step brothers: Joe Fisher and Doug Fisher, and step brother in law Lee Grandy. In lieu of flowers, memorials may be made to First United Methodist Church St. Louis, MI or a charity of the donor's choice. Online condolences can be sent to www.smithfamilyfuneralhomes.com. The family is being served by Smith Family Funeral Homes, St. Louis, MI.